More translation news today. On their Facebook page, the Lockman Foundation announces a revision of the New American Standard Bible which is underway. I’m guessing they are feeling the heat from updates to the ESV, NIV, and CSB. The whole text is being reviewed with more emphasis in the Old Testament. The primary goal is to maintain accuracy and modernize English. As our base texts are the Biblia Hebraica Stuttgartensia (BHS) and Biblia Hebraica Quinta (BHQ) for the books available and the NA28 for the NT. We don’t always agree with the editors of those texts and choose alternate or variant readings when we feel they are more accurate. Our current publication goal is to have a first release in early 2019. 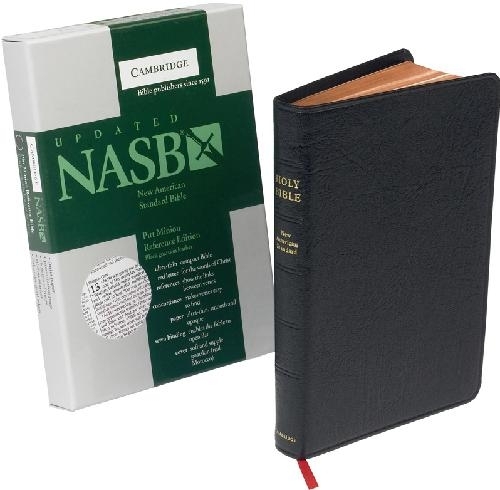 The NASB was last updated in 1995 and has often been promoted for its literalness and accuracy. I tried adopting it at one point but the English was just too stilted. For example: “...and she [Eve] said, ‘I have gotten a manchild (!) with the help of the Lord’” (Gen 4.1). Hopefully they can improve some of that. This is yet another English translation that will be working from the NA28. Note, however, that they explicitly say they do not always agree with the editors’ decisions. This is important because, in conversations about the CBGM and the NA28, some people assume that English translators simply adopt the NA/UBS text ipso facto. But I don’t know of any English translations that do this. Rather, they (rightly) diverge from that text when they feel it appropriate. It’s time for another ETC blog giveaway! 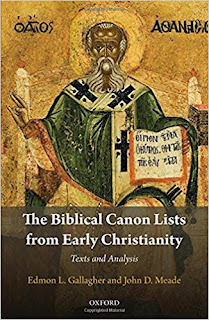 In this edition, we’re giving away a brand new copy of John Meade and Edmon Gallagher’s The Biblical Canon Lists from Early Christianity: Texts and Analysis (Oxford). To enter, do any or all of the things listed below. Entries will be received up to 12am EST on March 3 and a winner will be chosen at random. Yes, it seems that about every three months or so First-Century Mark reappears. I hate to keep adding fuel to the fire, but there is some value to keeping a record of these things. 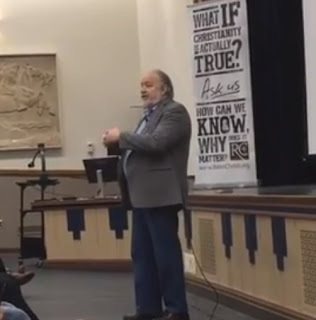 Gary Habermas spoke at Purdue University last night. During the talk he stated that he has permission to announce that the Mark fragment has been dated between 80–110 AD. He also said that this is all he or CSNTM will say about the matter so no more questions regarding it will be entertained. 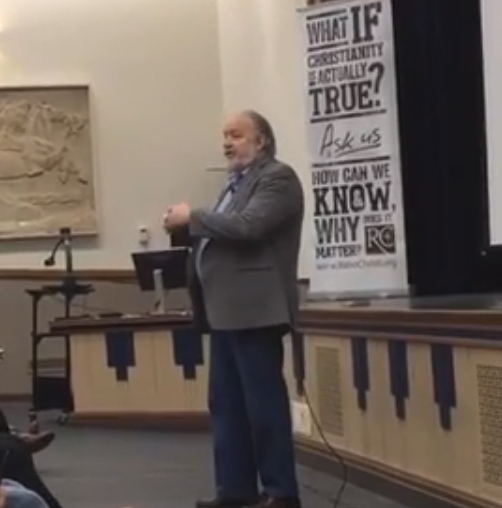 As a side note, there will eventually be a lengthier critical analysis of the fragment but we in the apologetics community need to be cautious with how we handle this data. 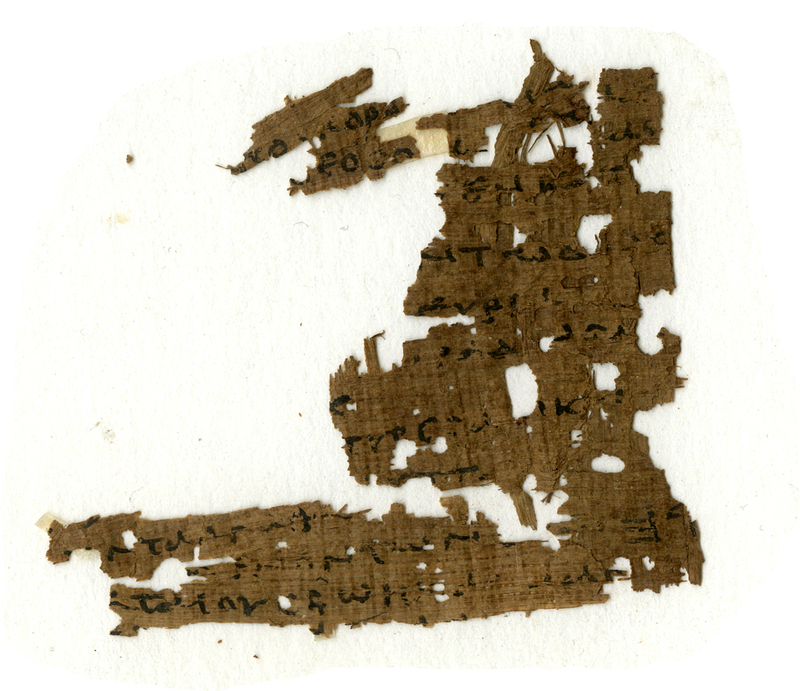 If the dating is accurate, this will become the oldest NT fragment in existence. However, paleography can’t really get a date accurately within about 100 years so there is always room for later dating. Point being, no matter what the results, this fragment will go into the already immense amount of evidence for the New Testament and it’s early production and dissemination. Good information to have but not a nail in the coffin so to speak. I did a quick search and found the video of Habermas at Purdue. You can view it below (starting at the 22:10 mark) with my transcript below that. The main problem with Habermas’s claim is now old news to ETC readers and it is the specificity of the date. I don’t know how you date a papyrus to a thirty-year period like 80–110 A.D., especially if it is based on paleography (see the recent posts here by Malik and Orsini). Also, I didn’t hear Habermas mention CSNTM, so maybe that was a deduction by Bates. Unless I just missed it in the video. In any case, I appreciate his word of caution to fellow apologists. Habermas mentions a paleographer who is not a Christian, a description we heard already in Dan Wallace’s original debate announcement. We have since identified this paleographer as Dirk Obbink of Oxford. What seems possibly new is that Habermas says he asked permission to share this and was told he could. But when did he ask and who granted such permission? He doesn’t say. There are further odd things said about provenance, but Habermas seems a bit fuzzy on that. What I find curious at this stage in the First-Century Mark saga is how information about it keeps coming out in the context of Evangelical apologetics. I’m not sure what to make of that in terms of who owns this papyrus, but it is a consistent thread and I suspect one that will make more sense once we know for sure who the owner is. But before I do that [make my preferred argument for the resurrection], let me just make one other point. Some of you may have heard about a fragment in Mark that’s been floating around. I see a few of you shake your head yes. We’ve been waiting for this for a long time. The dating on this hasn’t come out, there’s reasons the dating hasn’t come out. I won’t explain that; it’s a legal thing having to do with the provenance of the papyrus. The previous earliest copy of a gospel book we have is the Rylands fragment of John at about 125. It’s very, very valuable because remember early is a key historical sign. Rylands only dates from about 25 or 30 years after the Gospel of John. Okay, so there’s been a piece of Mark that we’ve been concerned about for a long time. We hadn’t come out with dates for legal reasons that could land you—there’s a question about where this thing came from–not the provenance of it, not if it’s—it’s a good piece of papyri. But you got to be careful where you pick things up or you could be in jail because you have to register it with Middle Eastern antiquities authorities or they wonder what you stole that from. Okay, but one paleographer—I don’t even think he’s a Christian—but you have to be very specialized to be able to date ancient writing by handwriting analysis, by the type of handwriting. And the date was just given. And I asked permission, “Could this be given?” I was told it could be. And the date of this little papyrus for Mark is 80–110 AD. It is earlier than Rylands for John. So, if the fragment for Mark is about the time of John or earlier, now critics are saying, “We’re going to have to move the Gospel of Mark back before the year 50 AD.” What’s that do to early [...] witness? Plus, there are two agnostics, one of them just passed away before [...], but two agnostic scholars, neither one Christian, and they have recently—without reference to the fragment—have both dated Mark, one at 40 AD, one at 38–42 AD. This is good stuff. But I don’t think it’s the best argument for the historicity of Jesus. From this point on I’m going to use the second argument that some of you may know I call the minimal facts argument, I sometimes call the lowest common denominator. In many ways the following variant is salutary, as it will correct any slavish tendency to think about the ‘earliest and best’ attested reading as an almost pleonastic collocation. The ‘best’ reading is not always the ‘earliest’, there may be good reasons not to follow the earliest manuscripts, and our variant is a good example. And, yes, we could, and probably should have mentioned the variant in the Tyndale House Edition, but we did not. οἱ δὲ λοιποὶ ἔλεγον· ἄφες, ἴδωμεν εἰ ἔρχεται Ἠλίας σώσων αὐτόν. But the others said, “Wait, let us see whether Elijah will come to save him” (ESV). ἄλλος δὲ λαβὼν λόγχην ἔνυξεν αὐτοῦ τὴν πλευρὰν καὶ ἐξῆλθεν ὕδωρ καὶ αἷμα. And someone else, taking a spear, pierced his side and there came out water and blood. ἀλλ᾽ εἷς τῶν στρατιωτῶν λόγχῃ αὐτοῦ τὴν πλευρὰν ἔνυξεν, καὶ ἐξῆλθεν εὐθὺς αἷμα καὶ ὕδωρ. The addition in Mt 27:49 and the undisputed text in Jn 19:34 are not identical, but they share the same vocabulary: ‘spear’, ‘to pierce’ (same form), ‘his side’ (same word order), ‘to come out’ (same form), ‘water and blood’ (reversed word order). The differences in the first words of the addition in Matthew are explained by the immediate context of Matthew. The non-specific ‘someone else’ (ἄλλος) is in line with the equally non-specific designations in Mt 27:47 ‘some’ (τινές), 27:48 ‘one of them’ (εἷς ἐξ αὐτῶν), and 27:49 ‘the others’ (οἱ λοιποί). The participle λαβών in the phrase λαβὼν λόγχην comes from the earlier Mt 27:48 λαβὼν σπόγγον. However, in Jn 19:34 this piercing happens after Jesus’ death, whilst in Matthew the death occurs only in the next verse. On transcriptional grounds (influence of parallel account) and internal grounds (unlikely that Matthew would associate the loud cry of Jesus with the piercing) the addition in Matthew 27:49 is clearly secondary, but what about the external testimony? Happily, this is one of the Teststellen in the Matthew volume of Text und Textwert (no. 63, volume 2.2). There are some minor variants (addition of ευθεως before εξηλθεν and the order of ‘water and blood). and NA28 adds some Vulgate mss, and the middle Egyptian, and there is the CPA and Ethiopic. Without the addition: everyone else (including 15 witnesses that leave out the whole of the verse). On external evidence, the addition has definitely a very good shout. Or, to put it in the short-hand principles behind the THGNT, “In light of the external evidence, do we have good reason not to print the reading of the ‘earliest and best manuscripts’?” And indeed, this is one of those high-profile cases where I think that the transcriptional and internal reasons outweigh the external evidence. We should beware of treating any group of manuscripts as so reliable that we ignore what stares us in the face. However, is there any way we can bolster the argument for the inclusion of the addition? Obviously, if original, the removal of the extra words may solve a problem in the sequence of events in comparison to the other gospels: Jesus did not die because of the spear thrust and neither should the text give any suggestion as such. Therefore, the shorter text provides a less difficult reading. And then there is Dan Gurtner, in the recent Holmes Festschrift (who does an excellent job of discussing the versional evidence). He is also bold enough to put the suggestion forward that it is perhaps John who is editing the original text of Matthew and places it at a different, more appropriate location in his narrative. However, ultimately this possibility (I don’t think Dan proposes the originality of the longer text of 27:49) raises so many other problems that the simpler conclusion of influence of parallel accounts is preferable over any complex, redactional theory. We may wish the combined cluster of ℵ-01 B-03 C-04 L-019 Γ-036 to be infallible, but it is not. The ‘best and earliest manuscripts’ do not always present us with the ‘best and earliest readings’. Incidentally, a comparable variant happens at Matthew 27:35, where we have another intrusion inspired by the gospel of John. 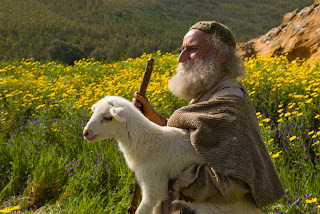 It concerns the added fulfillment of Psalm 22:19 as found in John 19:24. In the variant we see a similar adaptation of the Johanine language (ἵνα ἡ γραφὴ πληρωθῇ ἡ λέγουσα) towards Matthean style (ἵνα πληρωθῇ τὸ ῥηθὲν διὰ τοῦ προφήτου), just as happened in the longer text of 27:49. The difference is that the external evidence for the addition in 27:35 is less impressive, but it is a good illustration of the same phenomenon as in Matthew 27:49. As far as I can see almost every transmissional strand suffered these harmonisations. Gurtner, Daniel M. “Water and Blood and Matthew 27:49: A Johannine Reading in the Matthean Passion Narrative?” In Studies on the Text of the New Testament and Early Christianity: Essays in Honor of Michael W. Holmes On the Occasion of His 65th Birthday, edited by Daniel M. Gurtner, Juan Hernandez and Paul Foster (New Testament Tools, Studies and Documents 50. Leiden; Boston: Brill, 2015), 134-50. 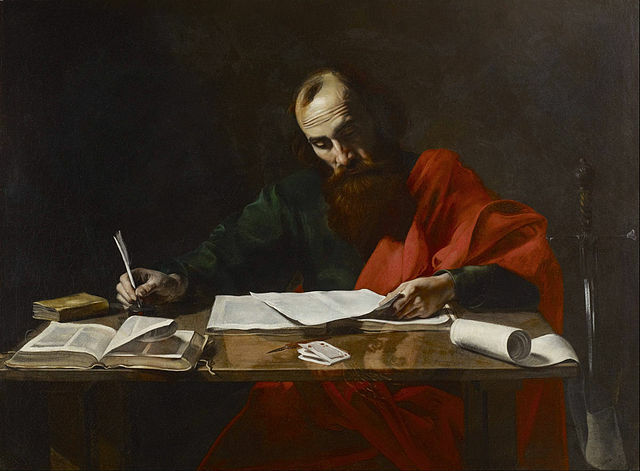 Today, there is a renewed focus on the primary sources pertaining to the New Testament text (just peruse most of the posts on this blog) and its canon. Some of our source material is relatively new (MS finds, whole works of church fathers rediscovered etc. ), but with regard to canon, the relevant sources have been at our fingertips for a long time. In any case, all of this evidence is under great scrutiny now, and this development is welcomed, for returning to the primary sources is the surest way forward in our current discussions. One particular area under scrutiny is how to describe the nature of early Christian writings. Did early Christians think only the eventual NT books were inspired or did they view inspired literature as a wider category of books than what eventually became recognized as the canon of authoritative-for-doctrine Scripture? Michael Kruger has brought this issue to the fore in a recent blogpost and it is worth presenting his view along side of Lee McDonald’s, whose view he mentions in the post, in short order without attempting to resolve the differences between the two. Both views affirm the inspiration of the NT books. 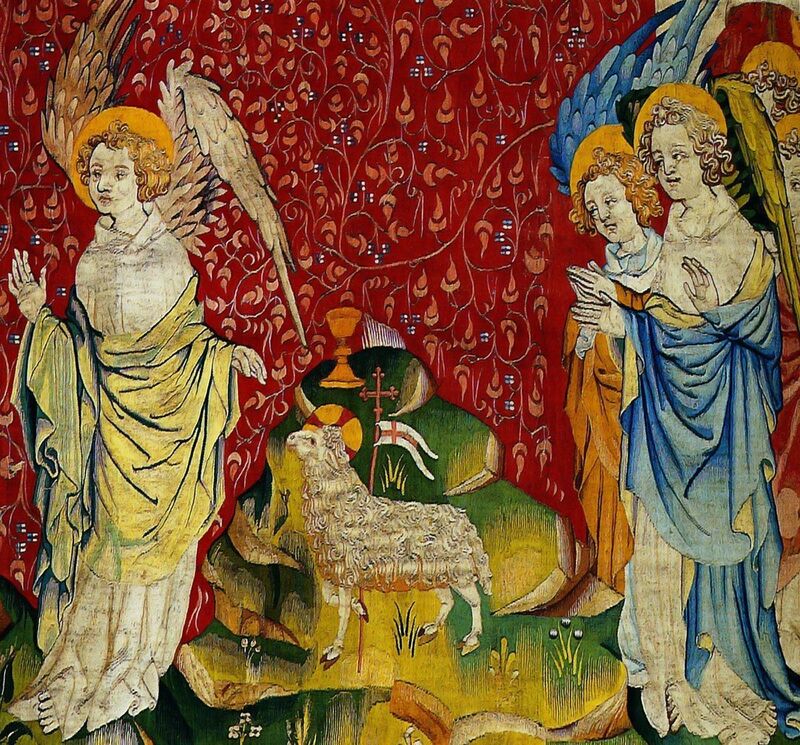 Both views affirm that early Christians thought their works were inspired in some sense. Both views affirm that early Christians recognized (at least eventually) the NT books as unique revelation. The disagreement is over why early Christians saw these NT books as unique, not whether they saw them as unique. It’s important to remember that this is a blog exchange and that Kruger has written whole books and articles on the topic of canon. He didn’t say everything in his post. I bet Lee McDonald would even say he didn’t write everything in his most recent two volume tome on the biblical canon. I will include these works along with a few others in the Further Reading section below. omit — 01, 03, 019* f1, f13, 33, e, ff, syr.sin, etc. ἦλθεν γὰρ ὁ υἱὸς τοῦ ἀνθρώπου σῶσαι τὸ ἀπολωλός — 05, 032, Byz, lat, syr.cur.pesh.hk, etc. ἦλθεν γὰρ ὁ υἱὸς τοῦ ἀνθρώπου ζητῆσαι καὶ σῶσαι τὸ ἀπολωλός — 019mg, 579, 892c, etc. On external grounds, the external argument from the Byzantine prioritist is straightforward. There is no serious split in the Byz manuscripts at this point and therefore reading 2 is original at Matt 18.11. But how does the same Byz prioritist explain the corruption that is reading 3 on internal grounds without appeal to harmonization and thus showing an inconsistency? After all, if ζητῆσαι καί is an addition due to Luke 19.10 then surely the whole verse can (and should) be explained the the same way. It seems to me that this shows an “internal” inconsistency on the part of the Byzantine priority position. Internal evidence is accepted when it supports the conclusion made from external evidence. But the same evidence is rejected when it does not. As always when I talk about the Byz text, I shall wait to be corrected by our resident Byzantinist, the Silver-haired Assassin himself! What was the Hexapla? There is the question of what were the readings that were at one time in the Hexapla as presented here, here, and here. Then, there is the question of what was the Hexapla? We have to ask this question because it was not transmitted much (if at all), and there is no manuscript to date that we can point to and say, “that’s the Hexapla.” This is one of the saddest truths of literary history. Furthermore, these questions do not answer “Why the Hexapla?” or “How the Hexapla“, which are also interesting questions. Having collected all of these [Greek versions], he divided them into sections, and placed them opposite each other, with the indication (σημείωσις) itself of Hebrew [Ἑβραίων pl.] [versions?]. He thus left us the copies (ἀντίγραφον) of the so-called Hexapla, having arranged separately the edition (ἔκδοσις) of Aquila and Symmachus and Theodotion with the edition of the Seventy in the Tetrapla (Hist. eccl. 6.16.4; ANFP [adapted]). The term σημείωσις “indication, inference from a sign” is an interesting way to describe a “text,” but perhaps this term indicates the Hebrew versions in Columns 1 and 2; that is, the Hebrew and its inference, meaning its sense or meaning in transliteration. Since he calls this work “the Hexapla“ and there are four Greek versions, he must envision the very “inference” of Hebrews as two texts. Now, there are two problems we should address. Matthew 27:16,17 Was Barabbas Called ‘Jesus Barabbas’? This is the first of a series of blog post on some of the textual variants found in the Passion narratives. We will discuss the rationale behind the text adopted in the Greek New Testament as Produced at Tyndale House in (1) Mt 27:16,17, (2) Mt 27:49, (3) Mk 14:30, 49, 72a, 72b, (4) Lk 22:31, (5) Lk 22:43-44, (6) Lk 23:34. Only in Matthew is there some confusion about the exact form of the name Barabbas, as a small section of the evidence has Jesus Barabbas instead of just Barabbas. 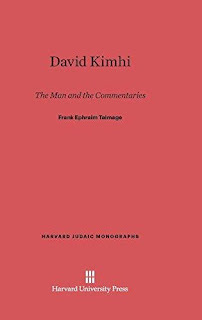 The variant is interesting as it may have been discussed explicitly by Origen, back in the first half of the third century. ESV: 16 And they had then a notorious prisoner called Barabbas. 17 So when they had gathered, Pilate said to them, "Whom do you want me to release for you: Barabbas, or Jesus who is called Christ?" NIV 16 At that time they had a well-known prisoner whose name was Jesus Barabbas. 17 So when the crowd had gathered, Pilate asked them, "Which one do you want me to release to you: Jesus Barabbas, or Jesus who is called the Messiah?" I do not think that the Latin is of much help to decide between βαραββαν and τον βαραββαν in v17, but at least the Latin is helpful in that it does not have ‘Jesus Barabbas’. The external evidence for (16) ιησουν βαραββαν and (17) ιησουν τον βαραββαν is limited, though this is the text given in NA26 – NA28, yet with the first part in brackets. 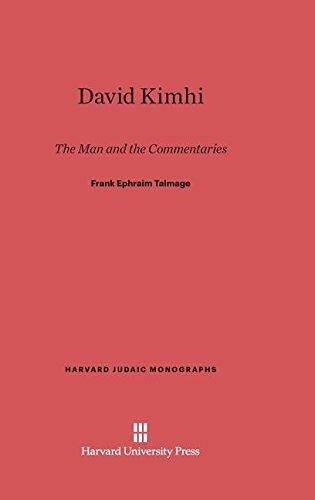 In Metzger’s commentary, the longer reading is granted much weight because of the supposed discussion in Origen. Having read what Donaldson has written on this Origen (387-90), I am much less sure that we have Origen’s words in the discussion. According to Donaldson (388 FN 28) there is only one manuscript that attributes the relevant scholion to Origen. Of course, it may still be by him as his star fell rather dramatically in later centuries, but there is a serious question mark about the attribution. There is also an interesting difference between the Latin and Greek version of the scholion in question. The Latin states that ‘in many copies it is not included that Barabbas is also called Jesus’, whilst the Greek says, ‘But in many old copies I have encountered, I found also Barabbas himself called Jesus’. There is a difference in perspective, in the Latin the reading assumed is Jesus Barabbas with the alternative being just Barabbas, in the Greek it is the other way around (incidentally, Streeter in his The Four Gospels, 94-95 knows only the Latin version – and yes, Jesus Barabbas is of course a ‘Caesarean reading’ in his eyes). Are there any scribal explanations for the rise of the two readings? • The omission of ιησουν in ιησουν βαραββαν can be explained as ridding the text of a confusing repetition of the name Jesus. The same name cannot be used for the Saviour and for the murderer. • Metzger points to the second of this pair of variants and notes the sequence υμιντονβαραββαν. The nomen sacrum for Jesus would be ι̅ν, which is the same as the final letters of υμιν. If this is indeed the origin of the longer reading, then the first instance was corrected to bring it in line with the accidentally longer second instance. Alternatively, of course, a haplography of -ιν- within υμινι̅ντονβαραββαν would be an argument the other way around. Either way, this is the most mechanical explanation available, and for that reason attractive. In this case, perhaps, the origin should be sought in manuscript tendencies. 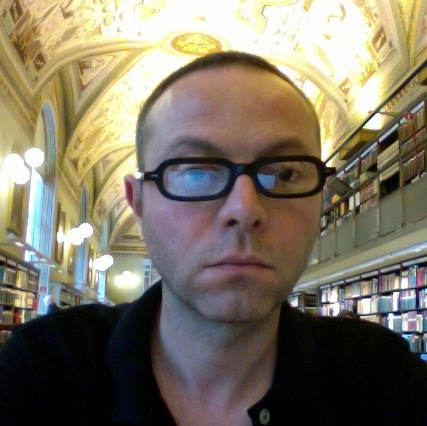 There is a cluster of readings that show up in a select group of manuscripts. Though I would not talk about Caesarean manuscripts or a Caesarean text, this group of readings found in a specific part of the tradition can be called ‘Caesarean readings’. Please note that I am more interested in the set of readings than in the question what the appropriate label should be. Our variant is one of these readings and should be studied as part of the whole cluster of Caesarean readings. We might then learn more about what these readings have in common and possible even find a historical context. For the sake of the argument here it suffices to acknowledge that this group of readings exists and that there is no strong argument to accept any of their unique readings as original. So in this case the main argument for rejecting the readings ‘Jesus Barabbas’ is that it is found mainly in a small group of witnesses that have a shared set of unique, but suspect readings. Metzger note that the decision to accept [ιησουν] βαραββαν was a majority decision. I think that the majority of the committee was mistaken. Donaldson, Amy M. "Explicit References to New Testament Variant Readings among Greek and Latin Church Fathers." Dissertation, Notre Dame 2009. Streeter, B.H. The Four Gospels: A Study of Origins. 4th ed. London: Macmillan, 1930. One of the treats of working on the ECM is the sheer exposure to a wide array of manuscripts from a variety of periods. Normally, you’re simply assigned manuscripts you’d be working on, not necessarily on the basis of your preference. Coming from more of a papyrological background myself, I don’t think I would have looked at most manuscripts that I’ve had to deal with over the past 8 months or so. But in most cases it’s been fun and very enriching. Most recently, I enjoyed working through GA 69, a 15th-century minuscule manuscript housed, of all places, in Leicestershire Record Office, Leicester. (But let us not be derailed by a reference to the city of Sir David Attenborough.) GA 69 is a rare instance of a Greek manuscript that contains the entire New Testament, though with a few lacunae. In Revelation, its text may be broadly classified as belonging to the ‘Koine’ group (siglum 𝔐K) in NA28). As such, then, 69 will yield few surprises if you’re acquainted with this type of text. Until, that is, you get to Rev 14:9. In this passage, the third angel flying in midheaven pronounces the promise of a bitter drink of the ‘wine of God’s wrath’ to the worshippers of the beast. At least that’s what one would expect based on the their Nestle-Aland text, which (rightly) follows the majority of witnesses in reading το θηριον. The only variant reading cited NA28 apparatus is offered by Codex Alexandrinus, which, oddly, reads θυσιαστηριον. Thus, the angel pronounces God’s wrath on all the worshippers of the ‘tabernacle and its image’ and those who receives the mark on their foreheads or hands. The reading θυσιαστηριον, as Weiss suggested, is most likely to be a ‘pure scribal error’, possibly occasioned by the phonetic and/or visual similarity (Die Johannes-Apokalypse [TU 7.1; Leipzig, 1891], 60). The closest occurrence of the word is at Rev 14:18, which might be a bit too far to have triggered a harmonisation to the immediate context. Incidentally, Hernández classifies this reading as ‘nonsense in context’ (Scribal Habits [WUNT II.218; Tübingen, 2006], 106), which I could see on exegetical grounds, even though it wouldn’t fly with the ECM where nonsense readings are defined rather more strictly. (Note that this reading is not to be found in the apparatus critics of NA28, because 69 is not one of the relatively few ‘consistently cited witnesses’.) Interestingly, 69 slightly re-structures the flow of the sentence too, such that there is a minor break, signified by a raised dot, between the ending of v. 9 and v. 10: ει τις προσκυνει το ποτηριον και την εικονα αυτου, λαμβανει χαραγμα επι του μετωπου, η επι την χειρα αυτου· (punctuation original). Thus, v. 9b outlines the first consequence of worshipping the cup and its image, namely receipt of the mark on the worshipper’s forehead or his hand. V. 10 then adds the unwelcome drink of the wine of the divine wrath. What may have occasioned this variant reading? Unlike with Alexandrinus, I think here we have really good grounds for a (probably inadvertent) harmonisation to the immediate context. The closes occurrence of ποτηριον is in v. 10; and I wonder, too, whether the idea of ‘drinking’ in v. 10 couldn’t have reinforced this confusion in the moment of copying. That this is an error and not some sort of clever exegesis or allusion to pagan libations seems clear from the fact that the manuscript has the standard reading θηριον in v. 11. The ultimate sense of the passage, despite these little oddities in transmission, remains the same, however: whatever the object—be it the beast, the tabernacle, or the cup (which is, by analogy, pertinent during the Olympic season)—it ain’t worth worshipping it! It’s probably fair to say that Junia has never been more popular. At least four books have been written about her in the last 20 years and she remains—I can’t help it—well known among those debating the role of women in the church. Just in case you think an interpretation of Scripture can [sic] be wrong early and stay wrong for centuries, think about Romans 16:7 and the story of Junia. 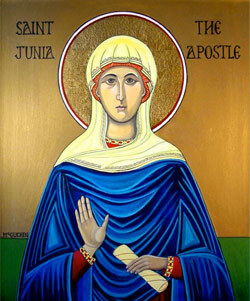 She was a woman whose name was changed to Junias because, so it was believed, the person was an apostle and an apostle can’t be a woman. So some males changed the woman into a man and, presto, we got a man named Junias. The problem is that there is no evidence for a male name “Junias” in the 1st Century. The deed was done, and that’s not our point: Junia remained Junias until, truth be told, the last quarter of the 20th Century when scholars realized the truth, admitted the mistaken history of interpretation, and acted on their convictions to restore the woman. Knocking off non-existent males is no moral problem, and raising a woman from the dead is a good thing. Junia is now inscribed in the best translations. The issue at hand, as you may know, is the accenting. If you provide the name with a circumflex (Ἰουνιᾶν) as in NA27 then the name is said to be the masculine Junias; apply an acute (Ἰουνιάν), however, as in NA28, and it’s the feminine Junias. And, presto, we have what looks like a patriarchal conspiracy on our hands. Or do we? 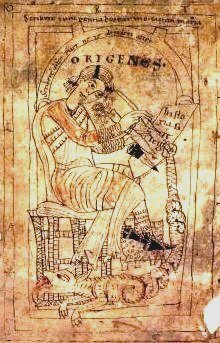 [Jerome’s text was based on] the Book of Origen, the most ancient and authoritative [text and the one] from which your text was translated. Everything is dependent upon it. 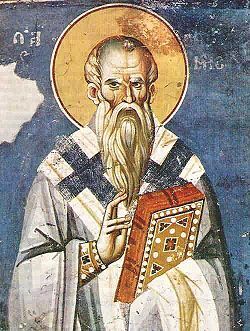 For it was dictated by the prophets, and Jerome the translator relied upon it, translated from it, and trusted it, with the exception of a few words which he did not understand or which were contrary to his belief and which he altered, changing the root of the faith to wormwood (pp. 87-8). This is an interesting text, and I want to look into it more. I would not think this “Book of Origen” could be the Hexapla since that book had long disappeared. But could it refer to another Greek text still in circulation that was associated with Origen’s textual work? Perhaps. Or is it somehow an historical evaluation that claims Jerome based his work on Origen’s Hexapla? I don’t know. Still, the assessment that Jerome based his Vulgate on this book is an overstatement, since the Vulgate appears to go its own way regularly, even if it did make some use of Origen’s work. 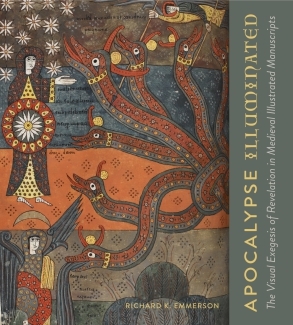 A new book is out which may be of interest to our readers, Apocalypse Illuminated: The Visual Exegesis of Revelation in Medieval Illustrated Manuscripts by Richard K. Emmerson published by Penn State University Press. A description and preview is available here. Jim Spinti at PSU Press offers ETC-blog readers a 30% discount with the code RKE18. The team at ETC wishes all a happy International Septuagint Day. Do all you can today to promote the study and reading of the Septuagint (even if that means working to erase the name “Septuagint” for Peter Williams—I tease). In that spirit, I want to point out and celebrate that 2018 marks the 50th anniversary for the International Organization for Septuagint and Cognate Studies and its Journal for Septuagint and Cognate Studies. Currently, the student rate for joining IOSCS and receiving its annual journal is only $20 (what a deal! ; $30 for regular members). So if you are interested in membership and subscription to the journal, you can click here. Have a good day, and read the Septuagint! I’ve been getting into the spirit of International Septuagint Day (Feb 8) with recent posts on Symmachus and Greek Job and Modern Editions of the Hexaplaric Fragments. 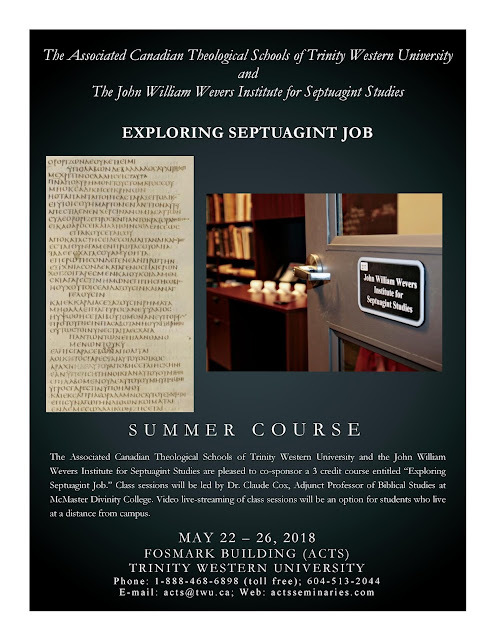 Today, I want to draw attention to a post on Septuaginta &C., where William Ross has posted an announcement for Trinity Western University’s Summer Course on LXX-Job. Dr. Claude Cox of McMaster Divinity College will lead the sessions. Claude is a friend of mine and an expert in Greek Job. On several occasions, we have corresponded over the intricacies of this text, and I can think of no more able guide through this terrain than him. Significantly, TWU plans to live-stream the class sessions for those who live too far away from the campus. The poster below provides the necessary information for those interested in the course. If you can take it, I would. 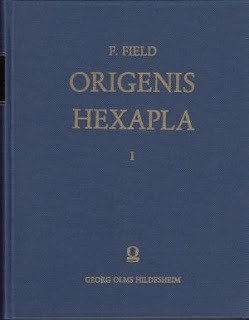 First, several collections of the hexaplaric fragments led up to Frederick Field’s magnum opus (as the extended title of his work indicated). Michael Law has helpfully told that story in BIOSCS/JSCS vol. 40 (2007): 30-48 [free PDF of issue]. Field's innovation was not in collecting the fragments. Rather, he advanced our knowledge of the Hexapla and its readings by including the Syriac evidence for the hexaplaric versions. Thus, from 1875, Field’s two-volume Hexapla became the departure for all scholarly study. Over at my seminary’s blog, I have written a three-part series on what a pastor should know about developments in textual criticism. (Generally, I had in mind someone who’s been out of seminary for a decade or more.) I covered new editions, methods, and digital resources. One thing I didn’t touch on but could have is the accumulating number of excellent studies of individual manuscripts. But you can’t say everything. What would you add?